The Albany Symphony's 2016.17 season is right around the corner. This year we will be celebrating 25 years of electrifying music under the leadership of David Alan Miller. Here is a little preview of what you will hear and see this fall at the Albany Symphony. Tickets are on-sale now through the box office. Call 518.694.3300. Natasha Paremski will make her Albany Symphony debut performing Ravel's Piano Concerto in G. Hailed by critics as fierce and virtuosic, you can expect a striking and dynamic performance. Also on the program is Sibelius' noble 5th Symphony and "Aria" for Hindustani Soprano and Orchestra by Two-time ASCAP Morton Gould Young Composer Reena Esmail. The radiant voice of Opera Superstar, Deborah Voigt is matched by Evan Mack's rich compositional technique, and the tragic, yet comic story of Roscoe by Pulitzer price-winning author, William Kennedy. 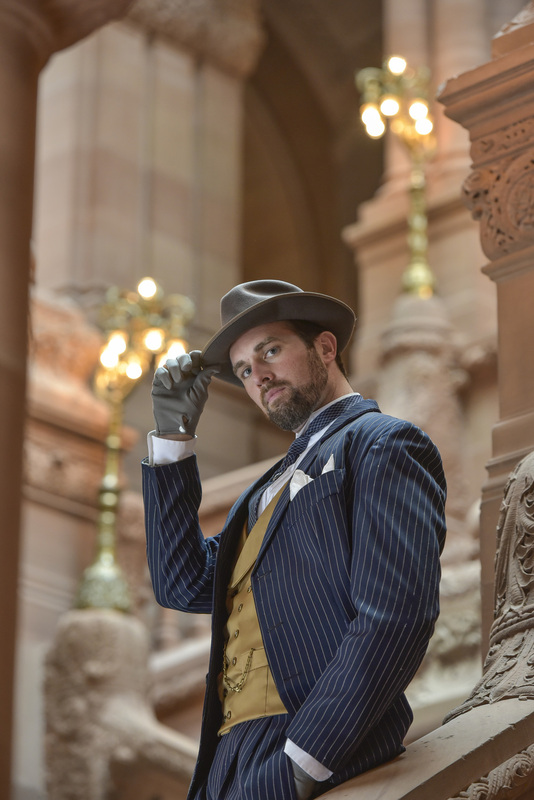 Premiered this summer at the Seagle Music Colony in Schroon Lake, NY, the Albany Symphony will give new life to Evan Mack's Opera and William Kennedy's political drama at the Palace Theatre, just steps from the fictional home of Roscoe, the motor of Albany's political machine. Join Coach Dave and the World Champion Albany Symphony for an afternoon of HITS by Tchaikovsky, Benjamin Britten, John Phillip Sousa and more! See the Albany Symphony is action as you are introduced to the instruments of the orchestra and the important roles on the team. You'll be left singing "Take Me Out to the Symphony!" Edvard Grieg is a leading Romantic era composer from Norway. While Norway may not be considered a classical music powerhouse, like Italy, Austria, or Germany, Greig was prolific and revered by audiences world-wide. Peer Gynt Suite No. 1 is Grieg's most famous work. Since its premiere, Peer Gynt's iconic melodies have been integrated into pop culture. Grieg's timeless melodies, "Morning Mood" and "In the Hall of the Mountain King" were made popular to general audiences by Bugs Bunny, The Who, and the hit TV show The Simpsons. Hear Grieg's Peer Gynt Suite No. 1 performed LIVE by the Albany Symphony alongside the Donna Diana Overture (Theme Music for Sgt. Preston of the Yukon), Tchaikovsky's beloved Francesca da Rimini and an Oboe Concerto by American master composer, Christopher Rouse.